Hello. names Alexander, 24 y/o from Stavanger in Norway. Player nick: Authenticme. Big fan of battlefield and just about the only game I've played since 1942 series. I want to give PB a huge credit for hosting theese fantastic servers. 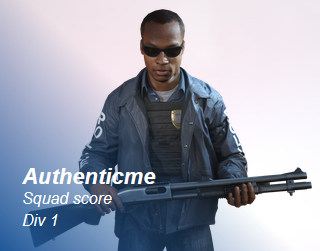 If it wassn't for PB there wouldn't be any good servers left on Hardline. Most of the time you see me playing with anettelinnea thats my wife. We are waiting a little boy, so I hope I get the time to play even after becoming a father lol. See u in game! ... and if you check the donations list, theres a small gift there to help you guys running. hi .. thanks for the feedback and donation - most people only come here complaining but not contributing, so we really appreciate that! Hope you have fun on the servers. Also welcome to Teamspeak - but only in push-to-talk once the boy is there best wishes for that! Wow, Alexander, I'm happy for both of you! I wish you good luck!